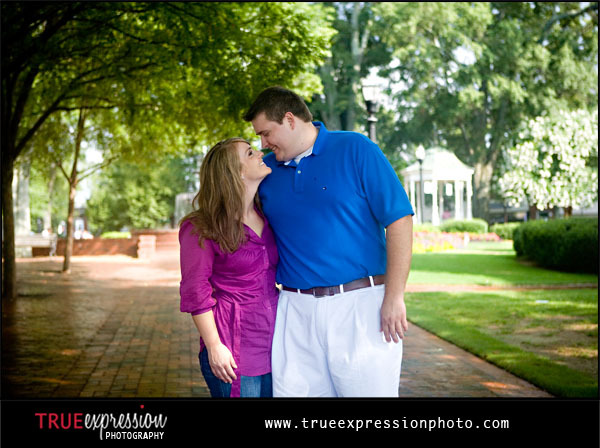 Here's a quick preview of today's mini sessions held in Marietta Square. I had so much fun meeting and photographing all the couples. We were so lucky that the weather held up and the sessions went on as planned- although, we were extremely close to having to reschedule one session. But we took cover under the gazebo and managed to wait out a little rain. I am so glad we did because we ended up with some awesome shots! As soon as I got home I could not wait to download the cards and start looking through the photos. I will be posting more soon, but I couldn't resist sharing at least one photo from my very last session of the day. Thanks to everyone who came out for the summer event! Also, just a reminder that the August newsletter will be sent out tomorrow! If you're not already on the email list and want to receive the newsletter, click here or enter your email address in the box below to subscribe to the newsletter! :) Nice! Can't wait to see the rest! Thanks, Kelly.